As we follow the activity of Tamarind artists with great interest, we want to also update our collectors, supporters, and readers with this overview of current and upcoming exhibitions by artists who have recently collaborated with us in the workshop. Toyin Ojih Odutola: To Wander Determined gives us intertwined fictional portraits, vibrantly narrating the lives of two aristocratic Nigerian families. Ojih Odutola uses her distinct mark-making to create images that explore the complexities of the ever shifting terrain of identity. On view through October 20, 2018. Click here for lithographs available at Tamarind by Toyin Ojih Odutola. 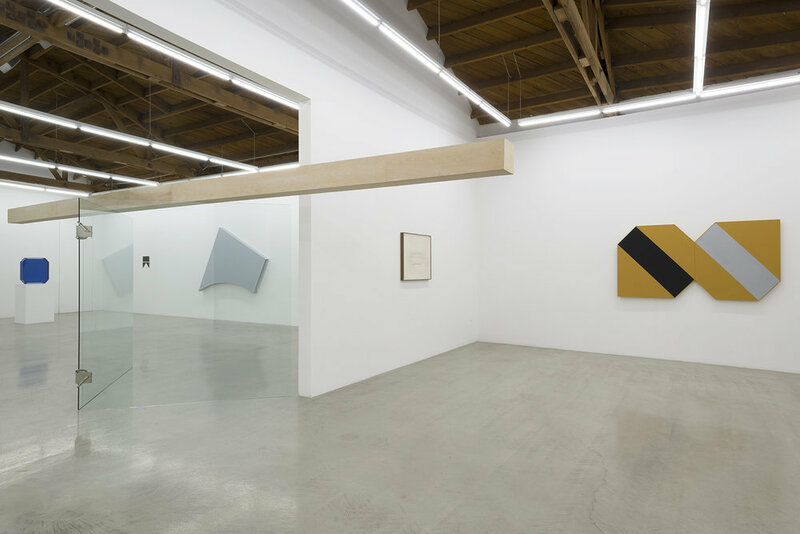 Franklin Parrasch Gallery, New York, and Parrasch Heijnen Gallery, Los Angeles, will present artist Tony Delap's six-decade exploration of the dimensionality of intersecting shapes. Each gallery will showcase Delap's iconic sculpture, drawing, and painting from various periods throughout his artistic practice. On view through December 23, 2017. 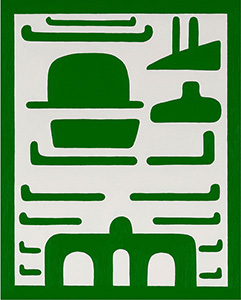 Click here for lithographs available at Tamarind by Tony Delap. 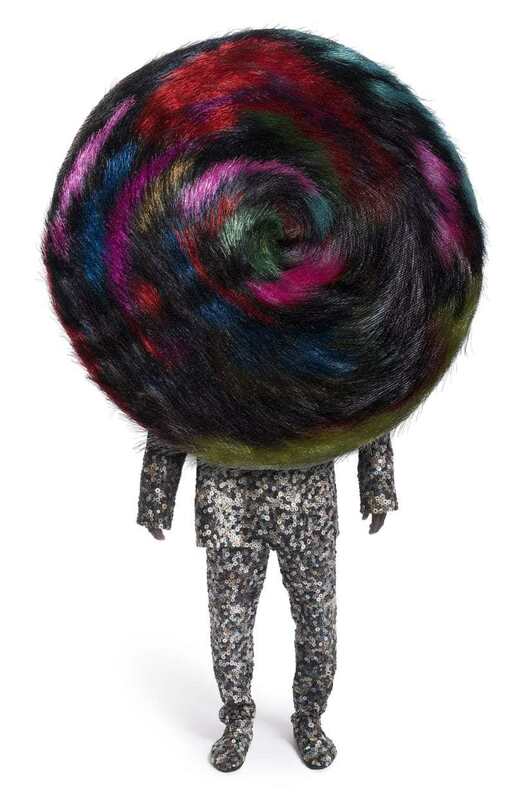 Jack Shainman will feature Chicago-based artist Nick Cave's signature soundsuits at Art Basel Miami Beach this year. Each soundsuit is made from found objects encumbered with personal and emblematic significance, to create culturally charged, thought provoking sculpture. On view through December 10, 2017. 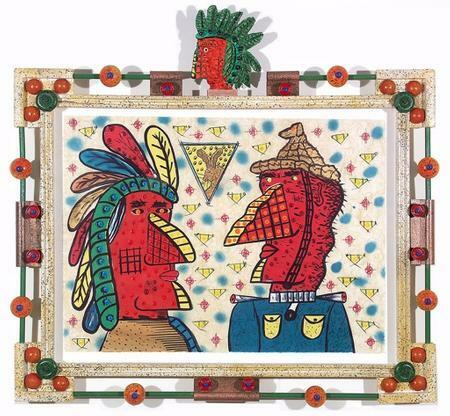 Click here for lithographs available at Tamarind by Nick Cave. 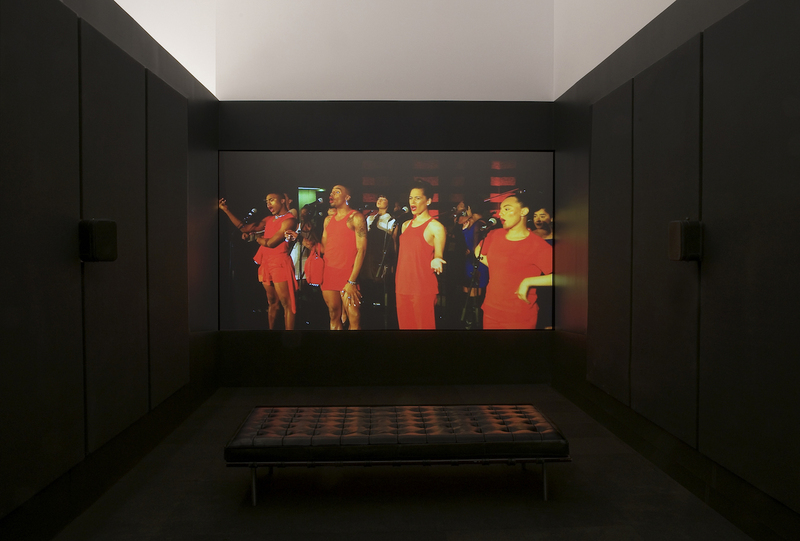 This exhibition analyzes ways in which minorities use their bodies to assemble dissenting forms of beauty and desire.Elements of Vogue dissects the complexities of the political history of the body to better understand the birth of voguing and the cultural significance of this style of radical performance. On view through May 6, 2018. Click here for lithographs available at Tamarind by Rashaad Newsome. Formulate illuminates Phoenix-based artist Matt Magee's ability to find inspiration in the mundane. Magee transforms these moments of inspiration into colorful abstractions that demand viewer engagement. On view through December 20, 2017. Click here for lithographs available at Tamarind by Matt Magee. instructions and rules, a method he continued in his computer-generated art of the late 1960s. On view through January 22, 2018. 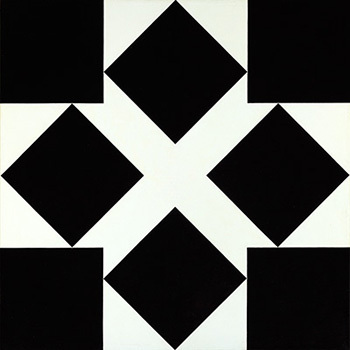 Click here for lithographs available at Tamarind by Frederick Hammersley. Of Dogs and Other People: Prints by Roy De Forest is a personal and dream-like invitation into the vibrant world of artist Roy De Forest. On view through January 13, 2018. Click here for lithographs available at Tamarind by Roy De Forest. Louise Nevelson lived and worked in New York City for most of her life. Her relationship with her surroundings inspired much of her work, including her sculptural and collage work. Nevelson often created her awe inspiring pieces using found objects and abandoned fragments of wood from the city streets. "I make collages. I join the shattered world creating a new harmony." 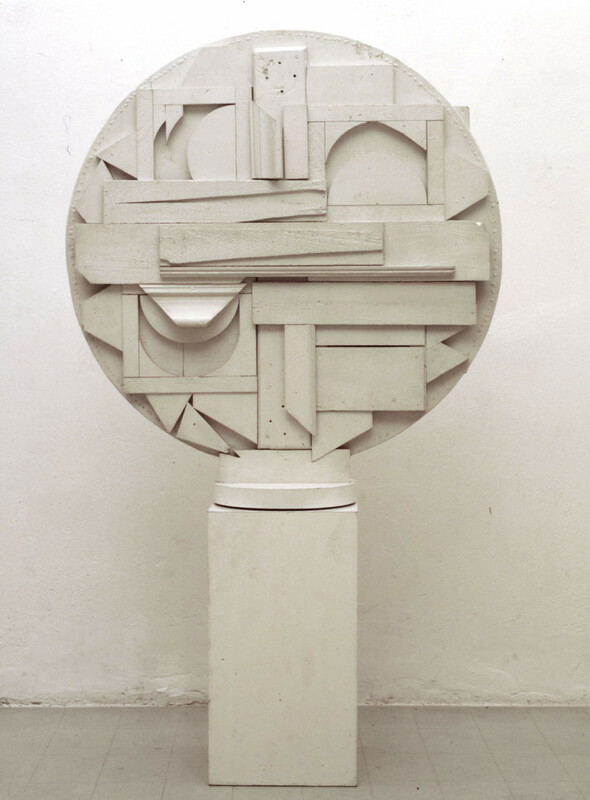 - Louise Nevelson. On view through January 1, 2018. Click here for lithographs available at Tamarind by Louise Nevelson. Fade to Black features the unmistakable hand of artist Gary Simmons. 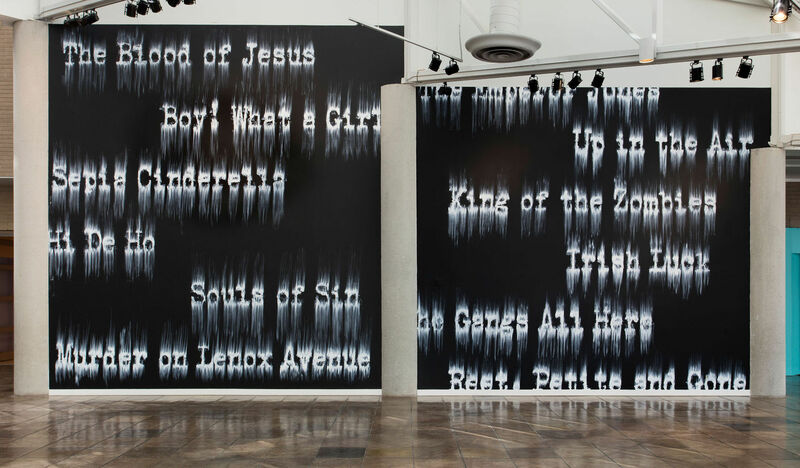 In his first museum exhibition in Los Angeles, Simmons will continue to expand on his signature erasure technique, painting on five 440-square-foot walls in CAAM’s grand lobby. On view through July 31, 2018. Click here for lithographs available at Tamarind by Gary Simmons. If you are interested in purchasing prints, please call 505-277-3901, or email us at tamarind@unm.edu.